Vacation Rentals in Abruzzo Italy offer more privacy – Hotels and bed and breakfasts may be available in Abruzzo, but they are unable to match the privacy levels, which a private villa can provide. 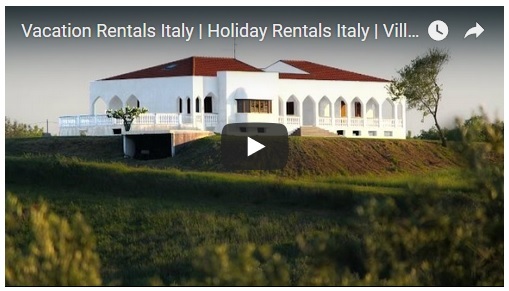 Vacation rentals in Abruzzo Italy are popular for that reason. By staying in a villa, you do not have to be concerned with other guests and strangers mingling with your family. Spacious – The properties are often spacious villas that can accommodate groups of people. However, they are great for couples who want to enjoy a private and intimate retreat, too. A villa can have around four bedrooms, with a living room that can sleep up to 12 people. Additional cots or beds can be requested if required. Well equipped – Vacation rentals in Abruzzo Italy are convenient because they provide everything you will need to treat the property like your home throughout your holiday. They have a fully-equipped kitchen with modern appliances and amenities, complimentary Wi-Fi internet, laundry facilities, central heating and air-conditioning, entertainment features, and high-quality beds. Well-located – Your vacation rental is within easy reach of supermarkets, restaurants, beaches, shopping centers, and the nightlife. You can enjoy unobstructed views of the mountains, the city, countryside, and the Adriatic Coast, too. Cost-effective – Vacation rentals in Abruzzo Italy may help you save money if you want to enjoy a longer holiday. Are you looking for a Vacation Rental in Abruzzo Italy? Contact Daniela today to enquiry about booking your dream Italian villa. This entry was posted in Things you need to know about Abruzzo and tagged Abruzzo Vacation Rentals, Vacation rentals Abruzzo Italy. Bookmark the permalink.